Are you seeking a maintenance free lifestyle in Southwest Florida? Discover the benefits of owning a maintenance-free luxury condominium at Bonita National Golf & Country Club. 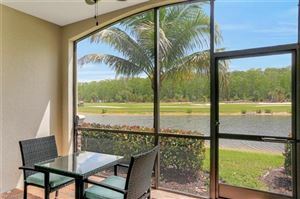 At the Veranda Condominiums at Bonita National your landscaping, pool and exterior maintenance is taken care of which allows you to enjoy the state-of-the-art amenities the community offers its residents. These residences include 1 car garage, expansive floorplans, and resort-style amenities. Make an appointment to discover maintenance free living at the Veranda Condominiums at Bonita National today. See all Bonita National - Veranda Homes.